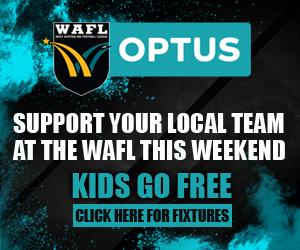 IT was quite the eventful opening to the 2019 Optus WAFL Season with all five Round 1 matches played on Saturday with Peel Thunder and South Fremantle winning nail-biters while Perth, Subiaco and Claremont all scored emphatic victories. The five games in Round 1 all took place on Saturday afternoon beginning at Lathlain's Mineral Resources Park with West Coast's standalone team playing in the WAFL for the first ever time. But Perth was the team to make an impressive statement with the Demons coming away with the 16.13 (109) to 9.9 (63) victory. Claremont also delivered a commanding performance to beat East Fremantle 16.7 (103) to 3.7 (25) at Claremont Oval while Subiaco continued its premiership defence in style beating East Perth 19.9 (123) to 6.8 (44) in the battle of the Leederville Oval co-tenants. Peel Thunder looked set for a big win at David Grays Arena against West Perth before the Falcons flew home. But Peel just managed to hold on for the 14.4 (88) to 12.13 (85) triumph. New Swan Districts recruit Josh Simpson then had the chance play hero with a shot after the siren but he couldn’t convert leaving South Fremantle to win 8.5 (53) to 7.7 (49). Perth is hopeful of taking the next step of playing finals in 2019 and that quest got off to the perfect start on Saturday with a 46-point victory at Mineral Resources Park over the West Coast Eagles. The Eagles did begin their life as a WAFL standalone team kicking the first two goals courtesy of Jake Waterman and Xavier O'Neill. But the Demons took over from there starting with their first goal to Sam Garstone. He ended up kicking three majors in the first term and Perth were nine points up at the first change. Perth's lead then grew to 20 points after the first two second term goals from Michael Bennell and Shaun Smith. West Coast did respond with a couple of their own through Waterman and Bailey Williams which had them only five points down at half-time. It was goal for goal for the first 20 minutes of the third quarter until Bennell kicked the last two of the term to put Perth 20 points in front at the last change. Smith's second and one to former skipper Clint Jones stretched Perth's lead to 32 points to start the final term and the Demons went on to win 16.13 (109) to 9.9 (63). Michael Bennell made the most of his chances for Perth kicking four goals from seven kicks while Brent Edmonds enjoyed his new role in attack kicking four goals. Sam Garstone kicked those three first quarter goals too with Shaun Smith booting two. Clint Jones racked up 29 possessions for Perth with reigning fairest and best winner Brant Colledge gathering 25 to go with 10 tackles and seven marks. Michael Sinclair finished with 22 possessions, Lachlan Dennis 22, Corey Yeo 21 and Matthew Taylor 20. Christian Eyres did well in the ruck for the Demons with 17 touches, 23 hit outs, five tackles and four marks. Jake Waterman kicked five goals for West Coast while Brayden Ainsworth gathered 24 possessions, Brendon Ah Chee 22, Fraser McInnes 20, Josh Smith 20, Kurt Mutimer 19 and Jackson Nelson 17. Claremont made quite a statement of their intentions for the 2019 season thumping an East Fremantle that had hopes of a dramatic improvement by 78 points at Claremont Oval. There was plenty of optimism surround Claremont coming into the new season after a semi-final appearance in 2018 and the Tigers showed that was justified with a dominant showing on home turf on Saturday. East Fremantle was hoping to improve on its two-win season under new coach Bill Monaghan, and the Sharks still might, but there wasn’t a lot to write home about in Round 1. Claremont took just 11 minutes to kick the game's first three goals thanks to Tyron Smallwood, Ian Richardson and Matthew Palfrey before the Sharks did get a couple back through tall timber Luke Strnadica and Cameron Loersch. The Tigers led by 13 points at quarter-time thanks to Palfrey's second goal and then by the time Jordan Law, Smallwood, Jye Bolton, Tom Lee and Palfrey added goals in the second quarter the home team led by 42 points, and up by 41 at half-time. It was another goalless quarter in the third term for East Fremantle with Claremont piling on another five unanswered goals to lead by as much as 72 points before East Fremantle got its first goal since the 22:30 mark of the first term 15 minutes into the last quarter thanks to wingman Sean Henson. Claremont still kicked the last two goals to Lee to run away with the 16.7 (103) to 3.7 (25) victory. Tom Lee ended up kicking four goals from seven kicks for Claremont while Matthew Palfrey and Tyron Smallwood booted three goals apiece, and Haydn Busher two to go with 28 possessions, seven marks and five tackles. Reigning Sandover Medallist Jye Bolton kicked off the new season how he finished the last with 35 possessions for Claremont with Kane Mitchell racking up 29 disposals, Ryan Lim 28, Lachlan Martinis 25, Callan England 21, Declan Mountford 20, Ryan Murphy 19 and Bailey Rogers 18. Cameron Eardley battled hard in the midfield for East Fremantle finishing the afternoon with 24 possessions and seven tackles while Jordan Snadden collected 23 touches. Captain Jonathon Griffin fought away in the ruck for 13 touches and 34 hit outs. Subiaco's premiership defence couldn’t have been more impressive to start with the Lions dominating early and then consolidating the rest of the way to beat East Perth by 79 points. Subiaco might be under a new coach in 2019 with Beau Wardman replacing Jarrad Schofield while they've lost a host of premiership stars from last year including Chris Phelan, Zac Clarke and Brad Stevenson, but it appeared to have little impact. 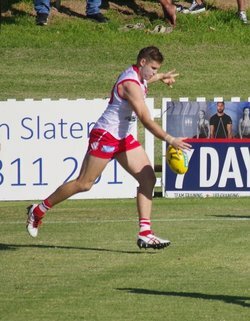 The Lions came out of the blocks on fire in the battle of the Leederville Oval co-tenants kicking four goals in eight minutes in a blistering start. Then after Shaquille McKenzie got one back for East Perth, the Lions kicked three more in quick succession. The Lions piled on seven goals in the first 16 minutes of the game and had nine in the first quarter to lead by 37 points already by quarter-time. 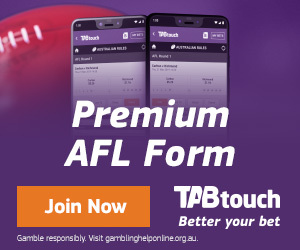 Subiaco added just the three goals to two in the second quarter to lead by 41 points at half-time and then two goals to one in the third to be up by 49 at three quarter-time. But the Lions again got rolling in the last term with five goals to nil to win 19.9 (123) to 6.8 (44). Ben Sokol was Subiaco's leading goalscorer in its 2018 premiership year and he's on track to repeat that dose with a five-goal showing in Round 1. Rhys Waters, Rowen Powell, Ben Newton, Greg Clark and Ryan Borchet all added two goals each with Clancy Wheeler going down injured in the opening minutes. Former skipper Kyal Horsley showed he's not ready to slow down leading the Lions with 36 points while Clark played the best game of his career with 29 possessions, eight marks and the two goals. Josh Deluca collected 26 disposals, new captain Leigh Kitchin 25, Lachlan Delahunty 24, Hayden Kennedy 23, Craig Hoskins 22, Powell 19 and Michael Braut 19. Former West Perth premiership star Rohan Kerr might have had two years out of the WAFL but made an impressive return in his first game for East Perth picking up a team-high 26 possessions and 11 marks. Jackson Ramsay missed all of 2018 with a knee injury but made a strong return with 23 disposals while new recruit Angus Scott gathered 21 touches. Sharrod Wellingham finished the afternoon with 20 touches and 11 marks while Nathan Blee gathered 19 possessions and Jordan Busher had 16 touches, seven marks and 12 hit outs in the ruck. 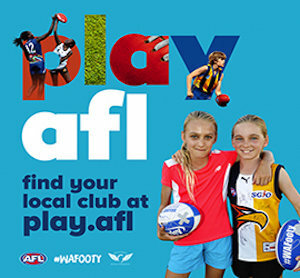 Peel Thunder dominated much of the game at David Grays Arena against West Perth before having to withstand a spirited Falcons fight back to begin the season with a three-point home victory. It took Peel less than two minutes to kick the first goal thanks to Brennan Cox with the Thunder adding another through Sam Switkowski before West Perth got on the board courtesy of Corey Chalmers. But goals for the Thunder to Corey Morris and Scott Jones had the home team on top by 19 points at quarter-time. West Perth did stay in touch thanks to a couple of Andrew Strijk goals early in the second term and despite a Michael Lourey goal just before half-time, the Thunder were in control with a 14-point advantage at the main break. Peel's lead looked to then be a match-winning one thanks a four-goal to nil third quarter. Then when Essendon recruit Jackson Merrett kicked truly to start the fourth term, Peel was up by 43 points and by as much as 44 before West Perth made a stunning surge. It started with a goal to Rudy Riddoch at the eight-minute mark before Strijk added another two minutes later and Liam Tedesco another with 12 minutes gone in the last quarter. Peel steadied with a goal to former captain Gerald Ugle to still lead by 30 points but West Perth had a sniff. Mitch Peirce, Strijk, Riddoch and Shane Nelson all kicked goals in the frantic last 10 minutes but Peel held on to win 14.4 (88) to 12.13 (85). Gerald Ugle started the new season off in fine form for Peel despite no longer being captain kicking four goals while Brennan Cox chimed in with a couple of majors. Mitch Crowden put his hand up for a Fremantle call up amassing 32 possessions while new Peel skipper Ben Howlett compiled 27 disposals to go with 11 tackles and 10 marks. Tom North finished with 26 possessions, Stefan Giro 24, Jackson Merrett 24, James Sturrock 23, Ben Hancock 22, Sam Sturt 20 and former Subiaco midfielder Matt Bogensperger 18. Backing up his stunning Bernie Naylor Medal winning year in 2018, Andrew Strijk started off 2019 kicking four goals for West Perth with Tyler Keitel out suspended. Rudy Riddoch added two goals. Shane Nelson had just his usual 36 possessions with Aaron Black racking up 33 disposals, Trent Manzone 25, Blake Wilhelm 24, Riddoch 22, Mitch Peirce 18 and Connor West 18. The game might have never reached any great heights but it did receive a frantic finish with new Swan Districts recruit Josh Simpson missing a shot after the siren meaning South Fremantle held on for a four-point victory. It was a tough shot from 40m out with the tricky breeze and it was never on line denying him the dream debut at Swan Districts with South Fremantle winning 8.5 (53) to 7.7 (49). Kade Stewart was tremendous putting in a best on ground display made up of 28 disposals, seven tackles and a goal while Haiden Schloithe gathered 26 touches, Jacob Dragovich 24, Nick Suban 22 and debutant Caleb Datson 19. Steven Payne kicked two goals to go with 25 disposals for Swan Districts with Ethan Maguire also kicking two majors. Jesse Turner had another good game on the back of making the WAFL Team of the Year in 2018 with 21 possessions with Josh Cipro compiling 19 touches and Warrick Wilson 18 in an eye-catching performance off half-back. Jesse Glass-McCasker was rock solid at full-back holding South Fremantle's Mason Shaw to just one goal.